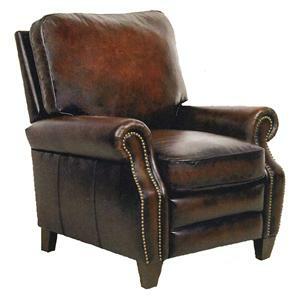 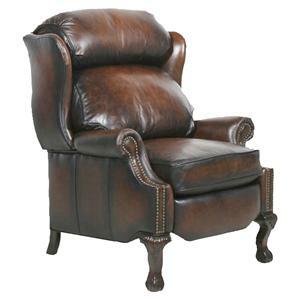 Delivering a classic look with a casual quality, this wooden legged accent recliner will provide you with comfort and olden-day style. 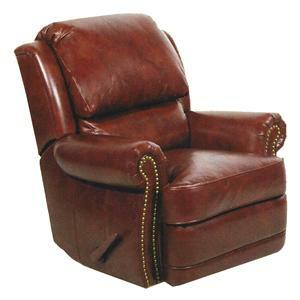 While a plush, upholstered back cushion and box-style seat cushion provide thick comfort to help homeowners relax, a recline function within the piece accounts for laid-back comfort for evenings spent at home. 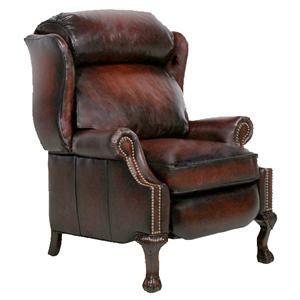 Classic rolled arms and exposed wood feet create decorative details from the traditional period while welt cord trim and nail head accents complete the piece with a fine tailored accent. 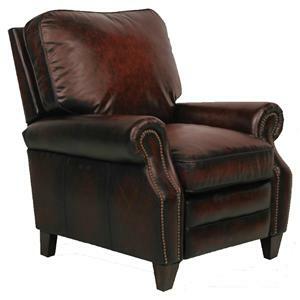 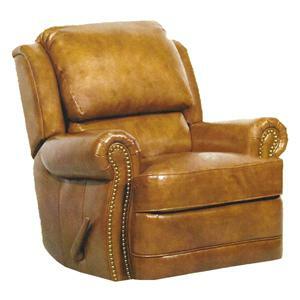 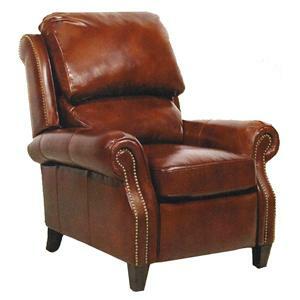 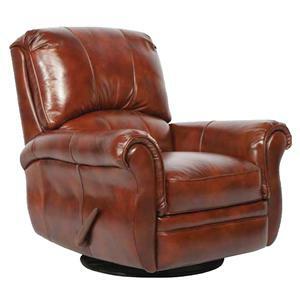 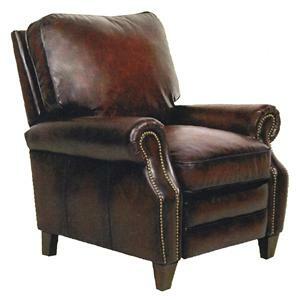 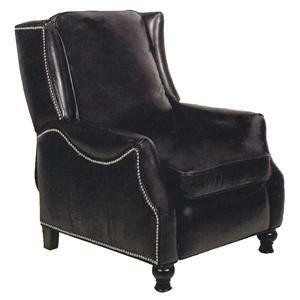 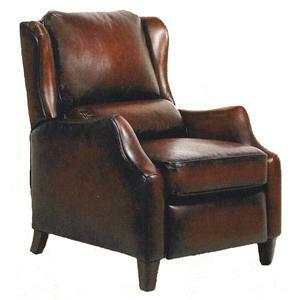 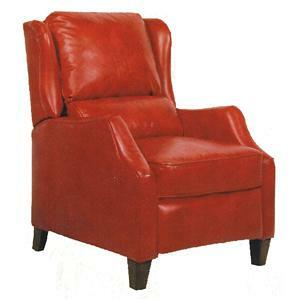 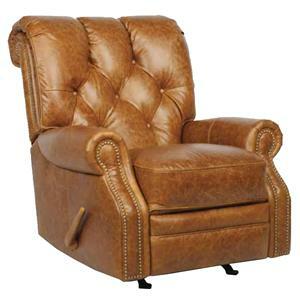 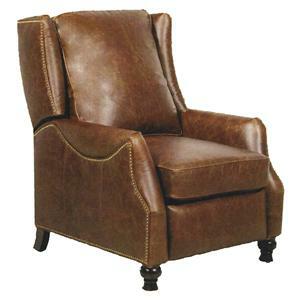 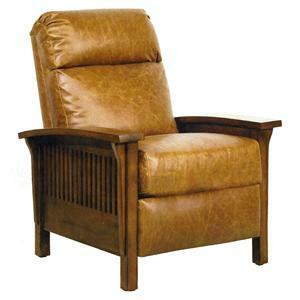 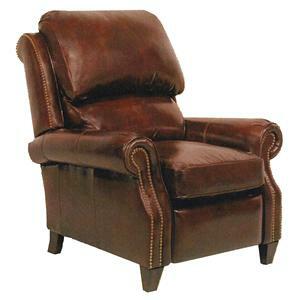 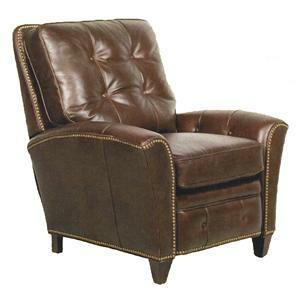 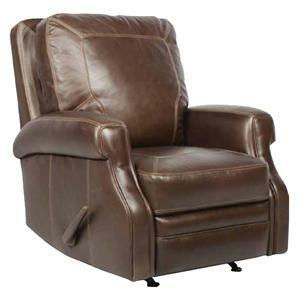 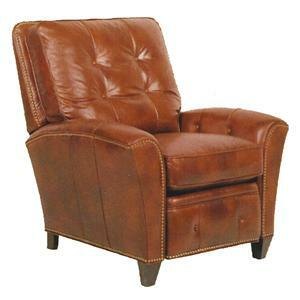 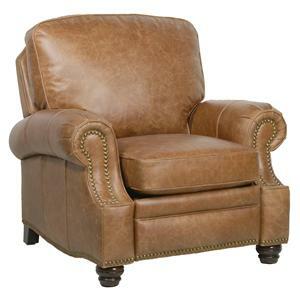 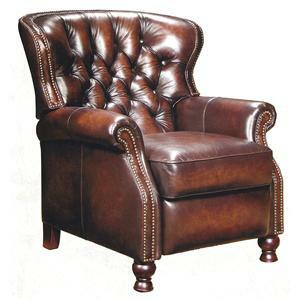 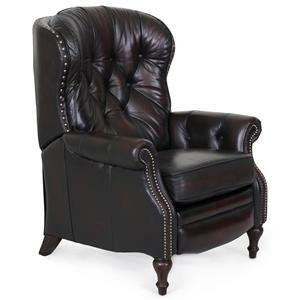 The Vintage Reserve Longhorn II Recliner with Wooden Feet by Barcalounger is available in the area from FMG - Local Home Furnishing.